Andrew Cogliano is a Canadian professional hockey player, currently playing for the Anaheim Ducks in the NHL. Cogliano grew up in Woodbridge, Ontario, and spent most of his minor hockey career with the Vaughan Association, playing for the Vaughan Rangers in the OMHA before playing for Vaughan Kings AAA in the GTHL. Cogliano played for the Toronto St. Michael’s Majors in the OHL prior to attending the University of Michigan and playing in the NCAA. The Edmonton Oilers of the NHL drafted him 25th overall in 2005. 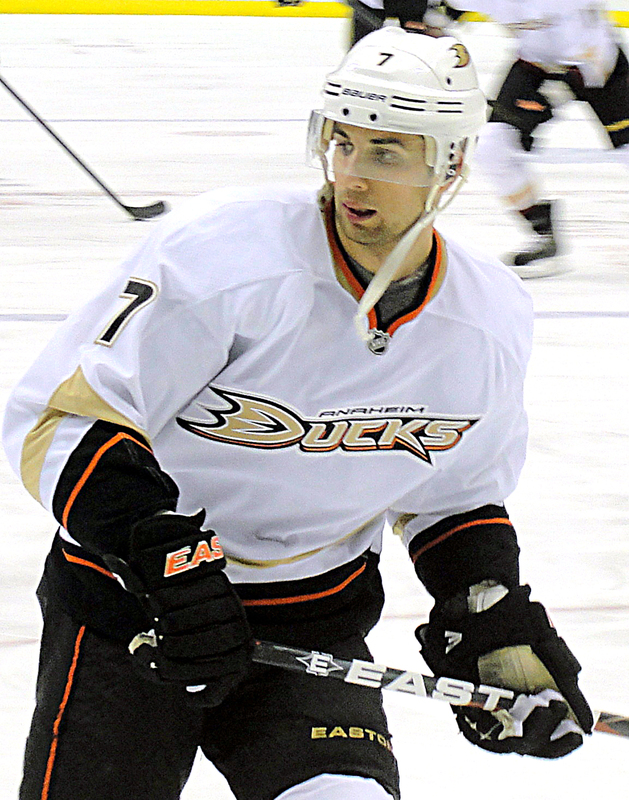 Cogliano was traded to the Ducks in 2011, and has been a great asset to the team as they have made a couple of Western Conference Final appearances in the playoffs. Cogliano is still searching for his first Stanley Cup championship. Read his Face to Face interview with NYHL below! I was first introduced to hockey from my brother. He was the first person who started playing in my family and I grew up watching him play. When you’re younger, you have aspirations and dreams to be a professional hockey player. It’s tougher than it looks. I was about 14 or 15 years old when I realized that I maybe had a chance to be pretty good and take it to the next level. Nothing specific. I’ve had good support from my family and my parents. I had the same coach for years growing up which helped, and I played in the same organization for most of my minor hockey career. My family is a big reason why I am where I am today. There were always players that I aspired to be and players you try to model your game after. Joe Sakic was someone I really looked up to as a player and a person. I enjoyed watching him and seeing him as an athlete. My parents inspired me to be who I am today. They’ve instilled hard working values, and a lot of the values I have as a kid got me to the NHL. Strong character and strong morals in terms of being someone that works hard. When you have a dream or something you want to achieve, you go out and get it. I did this at a young age. There are sacrifices you make when you’re younger to get to where you are today. Sport teaches you character in terms of preparing, working, and having the mental ability to push yourself to get to a position where you’re a pro athlete. What is your greatest memory in your career thus far? I played a bunch of World Junior games, and winning gold medals was special and stands out in my mind. Playing in the playoffs in the NHL is special, and being in Conference Finals are moments you’ll never forget. Thanks to Andrew Cogliano for his time! We’ve had Face to Face chats with all sorts of pro hockey players! Read more interviews with the pros.